Loading Page....definitely worth the wait ! 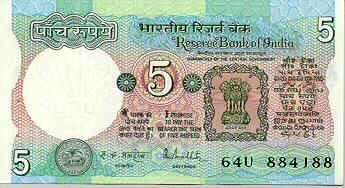 What is the Indian currency called? 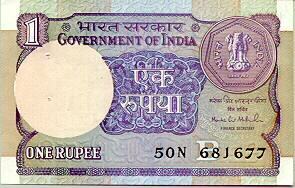 The Indian currency is called the Indian Rupee (INR) and the coins are called paise. One Rupee consists of 100 paise. The word Rupee came from the Sanskrit word "raupya" which means silver coin. The Reserve Bank of India (RBI) is the body that is in charge of India's numismatics and currency production and is India's National Bank. All pictures and info on Indian currency courtesy RBI. Please visit their website for more detailed info. On the bottom of this page you will find a Currency Convertor. Use it to find out what your money is worth in another country. 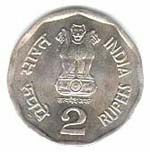 Coins in India are available in denominations of 10 paise, 20 paise, 25 paise, 50 paise, one rupee, two rupees and five rupees. 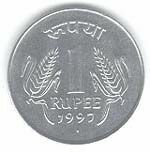 Coins up to 50 paise are called 'small coins' and coins of Rupee one and above are called 'Rupee Coins'. 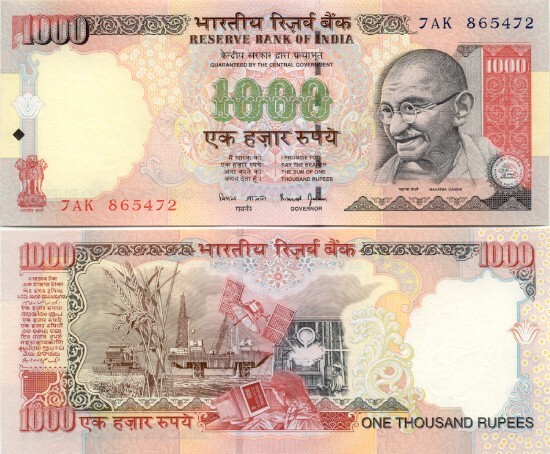 The present denominations of bank notes in India are issued in the denomination of Rs.10, Rs.20, Rs.50, Rs.100 and Rs.500. 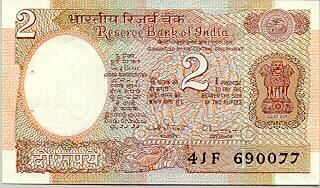 These notes are called bank notes as they are issued by the Reserve Bank of India (Reserve Bank). The printing of the 1, 2 & 5 denominations has been discontinued as these denominations have been coinised. However, such notes issued earlier are still in circulation. The Reserve Bank can also issue notes in the denominations of one thousand rupees, five thousand rupees and ten thousand rupees, or any other denomination that the Central Government may specify. There cannot, though, be notes in denominations higher than ten thousand rupees in terms of the current provisions of the Reserve Bank of India Act, 1934. Coins can be issued up to the denomination of Rs.1000. The Reserve Bank manages currency in India, by deciding on the various denominations, designing of bank notes, including the security features. The Reserve Bank also estimates the quantity of notes that are likely to be needed. Notes fit for circulation are reissued and the others (soiled and mutilated) are destroyed so as to maintain the quality of notes in circulation. The Reserve Bank derives its role in currency management on the basis of the Reserve Bank of India Act, 1934.